The success of any young musician depends upon talent, dedication and a keen driving force. Alan came well supplied with the outstanding natural talent and dedication, but it was his parents who provided the driving force, as for seven years their faithful chauffeuring gave young Alan his early accordion opportunities. Through those early days Alan developed the tremendous talent and style which have carried him, and his band, around the world, to Indonesia, Uganda, Spain, Cyprus, Portugal.. .. The toe-tapping arrangements of contemporary and traditional pipe tunes set this band apart. The band's current line-up have played together for six years now; Alan's enjoyment in fronting his own band is increased by the calibre and sympathetic style of his band members. Richard, Keith and Gordon also help with the arrangements. The verve and panache of these young musicians is equalled only by the vitality and excellence of the music they play. Tradition, talent and an innate sense of fun. Superb musicianship & a deep appreciation of contemporary composition give this collection an extra edge. 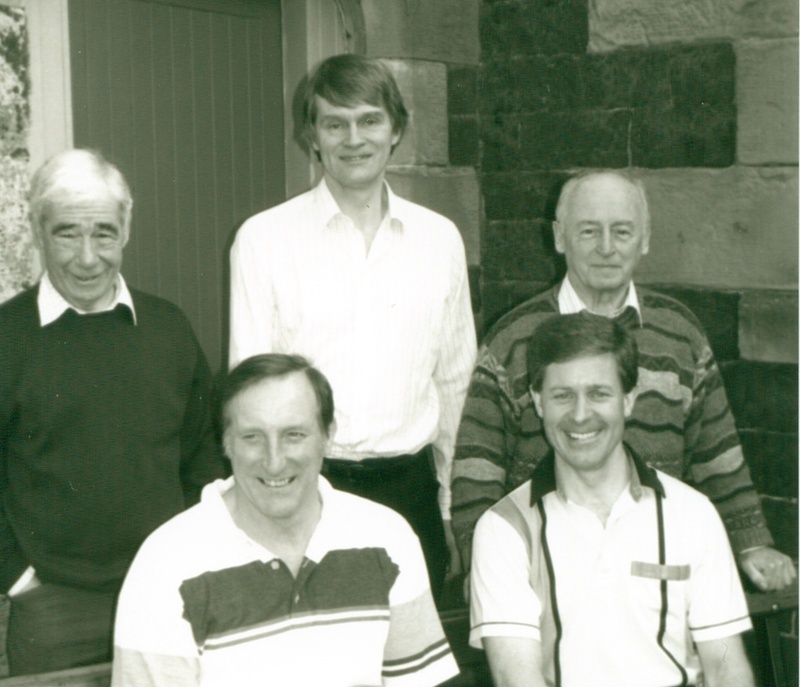 Alan with Keith Dickson (box), Richard Currie (piano), Brian Cruikshank (bass), Gordon Smith (drums). "This band plays with great verve and panache.. Crackeen' stuff!" Scots Magazine. To buy Old Masters Volume 1 click Alex MacArthur. Scottish dancers everywhere will treasure this C.D. which marries contemporary technology with traditional technique, as digital remastering brings back to life the good old dances from one of the great old bands. Any dance club will welcome this.. and of course you can listen to them, too! To buy Old Masters Volume 2 click Alex MacArthur/The Tain Band. The Craigievar Band has been around since the 80s and is led by Stuart & Alistair Forbes of Buckie on fiddle & accordion. They are joined by Alex Forbes on keyboard & bass and David Hume on 2nd accordion. To buy their Scottish Country dance CD click Craigievar Dance Band from the Old School Beauly. To buy their Ceilidh Dance CD click Ceilidh On Cloud Nine. Da Fustra, ("The rock in the foaming sea"), played it's first dance band on 17th October 1969 in the Zetland Hall, Pilrig Street, Edinburgh. The first band was based in Edinburgh but played in Shetland. Cecil Hughson (bass guitar & business manager) owns the Camera Centre in Lerwick and founded Da Fustra while a student in Edinburgh. He was, for many years, treasurer of the Shetland Accordion & Fiddle Club. 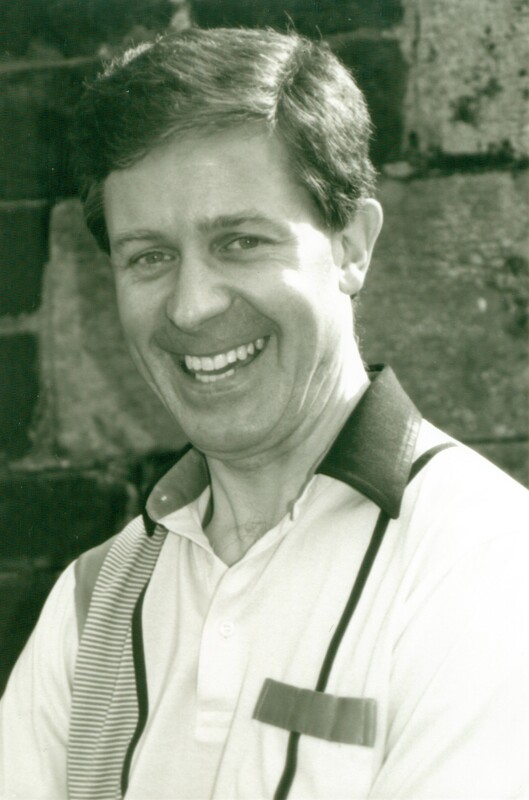 Douglas Johnstone (drums) is the only other founder member still playing - now retired from teaching mathematics at the Anderson High School in Lerwick. Douglas also plays drums for the Lerwick Brass Band, and for musical productions of the Islesburgh Drama Group. 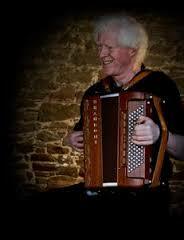 Peter Wood (accordion & music arranger) is originally from Crawfordjohn. He moved to Shetland in the summer of 1996 having made a name for himself in the Scottish folk and dance scene as an accordionist, pianist and piper. Inga Wood (née Scott) (fiddle) is from Kintore. She studied violin at school up to grade eight and in 1984 won the Daily Record Junior Golden Fiddle Award. Peter and Inga married in the autumn of 1996. Peter now runs High Level Music - Lerwicks only music shop, and Inga is a doctor's receptionist. James Leask (accordion), the bands youngest member, is studying mechanical engineering at Heriot-Watt University and so can only join Da Fustra during university holidays. He is becoming known as an accordionist in the Edinburgh area and has played with Iain MacPhail and on BBC Scotland's "Take the Floor" with Nicol McLaren and Sandy Legget. Pauleen Wiseman (piano) joined the band in 2001 after graduating from the Northern College of Education and the Open University with a BA degree in music studies. She has a grade eight in piano and also the flute. Pauleen teaches fiddle in several of Shetland schools and is a member of Shetlands Heritage Fiddlers. She features on the Dance o da Puffins CD. Brian Morrison (piano) is from Forfar. he won the All Scotland accordian Championship at Perth in 1995 and has grade 5 in piano. He has lived in Shetland for a number of years and has recently married a Shetlander. During the day Brian is an HGV driver. Da Fustra normally plays music suitable for a typical Shetland dance including two-steps, waltzes, marches, reels and jigs. It can also cope with ballroom, old-time and Scottish country-dances. The tunes used are mostly Shetland or Scottish in origin, with a number of compositions by Peter Wood featuring in each programme. Novelty two-steps such as "Chinatown, my Chinatown", and "Zip-a-dee-doo-dah" say much about the bands light-hearted approach to its music. The aim is to play music, which can be enjoyed, by listeners and dancers alike. The band has broadcast on a number of occasions. There have so far been three 50-minute sessions for Robbie Shepherd's "Take the Floor" on BBC Radio Scotland (1998, 2000 & 2001) and regular annual appearances on BBC Radio Shetland's Children in Need programme. Da Fustra's first CD "The Foaming Sea" was issued in 1997. This was followed in 1998 by "Da Fustra Strikes Again" and in 2001 by "A Shetland Dance", and by "Over The Waves To Shetland" in 2005. 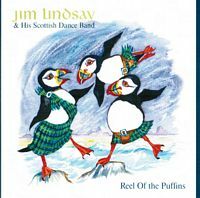 Christmas 2003 saw the release of "Dance o Da Shetland Puffins". Picture of Da Fustra for Over The Waves To Shetland - Peter Wood (1st Accordion), Inga Wood (fiddle), James Leask (2nd Accordion), Brian Morrison (Piano), Cecil Hughson (Bass guitar), and Douglas Johnstone (drums). Recognised by top professionals as "a tight young band", David Anderson and his fellow musicians play traditional tunes at dancers' tempos in a bubbling style. This effervescent selection of jigs, reels and strathspeys will go straight to your toes, if not to your head! A neat addition to the C.D. collection of all those who love dance and dance music. Should the description of David Anderson and his fellow musicians as "a tight young band" fill you with concern as to their sobriety, fret no more! 'Tight' is the appreciative professional term for the stylishly succinct, neatly-meshed manner in which this band plays. (The band do confess, however, that their favourite breakfast is a Shetland one. "This huge dram... oh, yes, and a fry up!"). David began playing Classical accordion at the age of eight, and later became involved with Scottish Dance music when he started playing for a dance class. Eight years ago he formed his own band, and the current line-up, chosen by David for their friendship as well as their talents, have been together for seven years. The band's dedication to the traditions of Scottish Country Dance assures dancers of an excellent dancing pace, lifted to a high by the punch of cohesive musicianship. Dennis Morrison joined David in arranging the music for this C.D. ; a choice of traditional tunes reflecting the band's knowledge of enjoyable dancing. Traditionally tight, but technically temperate if not quite stylistically sober, David Anderson and his Scottish Country Dance Band present a C.D. for a heady night's dancing. Excellent dancing pace, lifted to a high. A band which specialises in country dance music and has a very clean, tight, yet laid-back sound with some nice arrangements. David's band present a C.D. for a heady night's dancing. Mrs MacLeod; Culla Bay; Jennifer's Jig; Ellwyn's Fairy Glen; Moray Rant; Campbell's Frolic; Chevy Chase; Lamb Skinnet; Rob Roy; Moment Of Truth; Blacksmith Of Elgin; Miss Thompson's Reel; Off She Goes In The North; Bolt Court. When I started Highlander Music in 1995 Sandy Nixon suggested using the recording studio run by David Cunningham Senior. I was wanting to record 5 CDs initially and already had Sandy, Iain MacPhail, Neil Barron and Ian Holmes in mind. When talking to David Senior I mentioned that I had caught a short part of the radio show Take The Floor the previous week, but hadn't heard the band's name, but was very impressed - it turned out to be his son David Cunningham Junior! The two David's recorded all of the first ten volumes in our series of Scottish Country Dance CDs - and with their knowledge and love for the music they did a tremendous job. Young David Cunningham must have been one of the few children who have ever eagerly anticipated school dinner time! However, it was not meals but music that he looked forward to, and from those lunch-break practice sessions with his friends lan and Graham grew the young but extremely experienced band recorded on this album. David started playing the accordion as soon as he was big enough to hold one, and the band which he formed in his early teens has now been together for fifteen years, during which time they have travelled throughout Britain, Ireland and Europe, and have made many T.V. and radio broadcasts. The original trio have been joined by Neil Galloway on second accordion, and by a Musical Instrument Digital Interface which creates a superbly realistic fifth instrument sound through computer programming! Tradition and technology blending to tremendous effect! Reels, jigs and a medley, traditional and contemporary tunes, by a band with more than half a lifetime's experience of playing together! Favourite dances to the brilliantly polished playing of David & his Band. A big sound from a small, tight band. 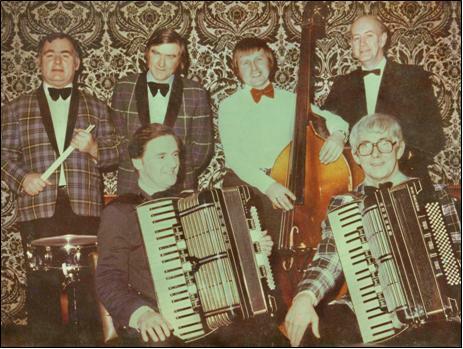 David Cunningham - accordion, Neil Galloway - 2nd accordion, Graham Berry - keyboards, Ian Adamson - drums. 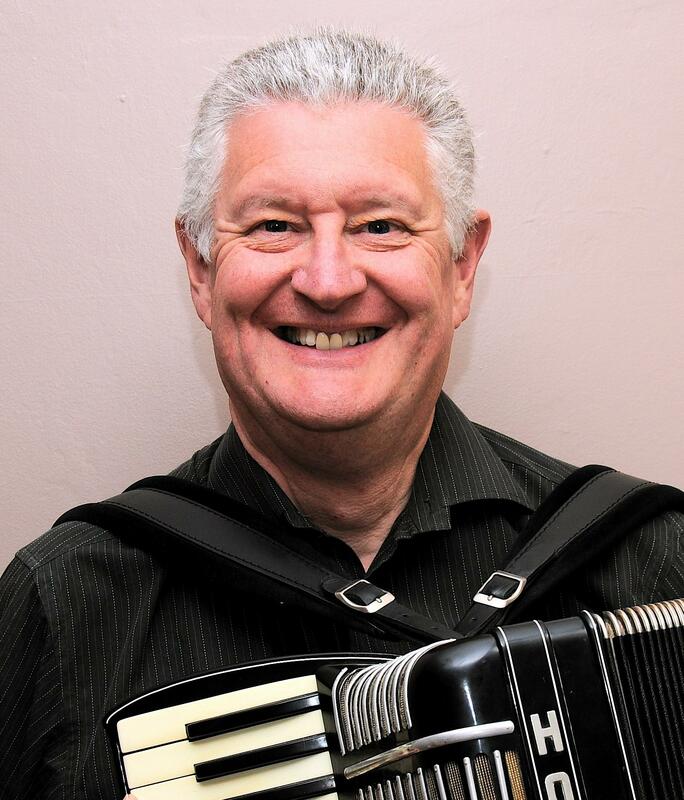 David's 2nd box player, Neil Galloway, is a former Scottish Accordion Champion himself! To buy David Cunningham Volume 3 CD from the Old School Beauly. Some musicians seem born to play together, but what would you expect from the combined sounds of a fiddling motor mechanic, an ex-RAF accordionist, a Guildhall-trained pianist, a one-time Boy's Brigade drummer, and a student of the Conservatory of Music in Ohio, U.S.A.? Bedlam? Well, that's just what you do get from Drummond Cook and his band...only as a tune title, though! Drummond and his very well-known band have played together for over thirty years now, with little change in the line-up. Trained as a violinist by his father, Drummond so loved the music he danced to at Scottish Country Dances that he determined to have his own band, and took up the accordion to give the band a strong lead sound. Drummond also composes for the band; this C D. contains some great tunes by Drummond, his pianist wife Edith, and their daughter Carol, guesting on fiddle. Strathspeys and reels by the Aberdeen fiddler Bert Murray are popular with the band too suiting their playing style. Drummond Cook and his band featured on Grampian T.V. s first live productions, and have played in a variety of styles, but we present them here in their own favourite way as Drummond Cook's Scottish Country Dance Band. New tunes, new dances.. .the same great band! Drummond's band have been delighting dancers for over thirty years now. Drummond Cook (accordion) with Willie James (fiddle), Edith Cook piano/bass), Bob Masson (drums), and special guest Carol Cook (fiddle). The accordion wizard behind the Wallochmor Ceilidh Band, The Occasionals, The Ghillies, and even the original line-up of Silly Wizard. To order this CD from the Old School Beauly click Freeland Barbour. If George Meikle's mother had any regrets about her son growing up to be a band leader, she can definitely blame that one on the milkman! Young George took up the accordion together with his father, who was a roundsman for the local Dairy at the time! Father's poor work-worn fingers were unequal to the intricacies of the instrument, but George played on, and by the age of fourteen was playing for general dances and weddings. 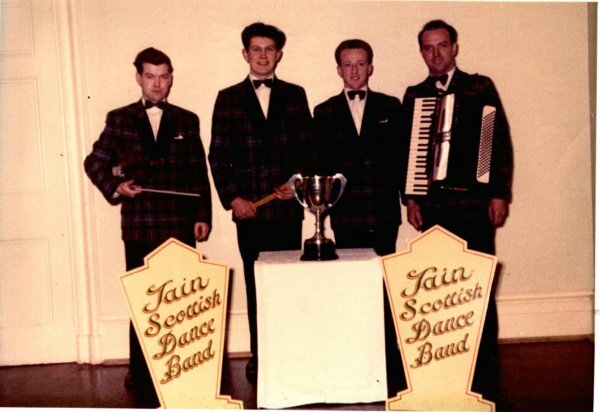 After a few years on second accordion with the Strathearn Dance Band, George formed the Lothian Scottish Dance Band. Now, twenty five years later, the band's musical talents are recognized, and requested, throughout the dancing world. One of the features which makes the Lothian Scottish Dance Band so special is their particularly close involvement with the dances, not just the dancing. Many of the dances featured on this album are by devisers with whom the band have worked a good deal. "Look Aboot Ye" is by Royal Scottish Country Dance Society teacher Alan Rintoul, who also wrote the tune... and he's the band's pianist, too! Careful selection of the appropriate tunes, and a broad working knowledge of the Scottish Country Dance scene give the Lothian Scottish Dance Band the firm foundation upon which they build their very popular tune sets. Much travelled, much acclaimed, the Lothian Scottish Dance Band present their latest collection for a superb evening's dancing. Traditional dance styles, traditional tunes, the bedrock of Scottish Dancing burnished to a sheen by the artistry of George and the band.With Stewart Reid (fiddle), Alan Rintoul (piano/bass), George Gray (drums). Tullyvolan; Look Aboot Ye'; Kinfaun's Castle; Crossing The Line; The Faraway Isle; Cambuskenneth; The Kenora Reel; The Dancing Dominie; Spiffin; The Dunivard Reel; The Royal Wedding; Auchinellan Jig; Anniversary Reel; Equilibrium. Aberdeen musical maestro Graham Geddes is in constant demand at home and abroad. The Graham Geddes Scottish Dance Band celebrate their 30th anniversary with a great selection of dances - live at the Beach ballroom, Aberdeen. Twenty toe-tapping tacks of Ceilidh and easy Scottish Country dances finishing off with Auld Lang Syne. "This is definitely one of Graham's finest recordings which you will want to listen to again & again" Box & Fiddle. Graham Geddes - accordion, Judi Nicholson - fiddle, David Little - piano & bass keyboard, Colin Sutherland - 2nd accordion, Tommy Sutherland - drums. Ceilidh Dance and easy Country Dances including a half-length version of Petronella with a walk on before and walk off afterwards, to Scotland The Brave, ideal for a demonstration. The Auld Lang Syne is as played at the end of many functions and dances - for singing along to - speeding up at the end! Postie's Jig; Dashing White Sergeant; Waltz Country Dance; Cumberland Reel; Reel Of The 51st Division; Canadian Barn Dance; The Duke Of Perth; Boston Two-step; Strip The Willow; Johnny Walker; Mairi's Wedding; St. Bernard's Waltz; Petronella; Hamilton House; Flowers Of Edinburgh; Walk On; Petronella (half length); Walk Off; Last Waltz; Auld Lang Syne. From Aberdeen's Beach Ballroom to the St. Andrew's Ball, Bangkok, Graham Geddes and his Scottish Dance Band have played for dancers all round the world.Twenty -one years' experience, twelve of those as resident band at the Beach Ballroom, have given the band a professional polish which shines through their music, be it Scottish Country Dance, Golden Oldies, or contemporary beat. Now working freelance, this leading band makes many radio, television and live appearances, from London to Cairo, from Bogota to the Up Helly Aa!! So great is the band's popularity in Shetland that they have twice been invited to play with the Jarl Squad at the Up Helly Aa, a great accolade. In the village hall, or at the Royal Albert Hall, the pithy pizzazz of Graham Geddes and his Scottish Dance Band ensures an excellent evening's entertainment. "Cracking stuff to set the toes a-tapping and the RSCDS teachers calling". Scots Magazine. Maxwell's Rant; Argyll's Fancy; Let's Meet Again; Corn Rigs; The Laird Of Milton's Daughter; The Winding Road; The New Virginia Reel; The Pinewoods Two-step; The Riverside Jig; The Victory Waltz; Baldovan Reel; The White Heather Jig; The Middleton Medley; The Highland Rambler. The temptation of a forbidden instrument was too great for four-year old lain MacPhail, who sneaked his father's button accordion out of its case in his mother's absence, and was caught soon after... playing The Rowan Tree! Driven by the irresistible forces of music and subtle rebellion, lain has become one of the greatest innovators on the Scottish music scene with his original approach to the orchestration, syncopation & chord formations of tunes, and his band's cachet big sound created by the cream of Scotland's dance musicians. Whilst their creativity and musicianship are of supreme importance, lain MacPhail and his band are consummate performers of music for Scottish Country Dancing. Favourite Scottish Country Dances to uplifting arrangements of new and traditional tunes. The cream of musicians join Iain; Ron Kerr on fiddle, David Hume on Accordion, Peter Wood on keyboard, Graham Jamieson on drums and Neil MacMillan on bass. The music of lain MacPhail and his band will sweep everyone to their feet... to applaud, and to dance. An inspirational addition to the C.D. collection of all those who love dance and dance music. The Weathercock; Polharrow Burn; Monymusk; The Luckenbooth Brooch; Bratach Bana; The Silver Tassie; The Pines Of Pitlochry; Johnnie Walker; The Irish Rover; Glayva; St. Columba's Strathspey; Wicked Willy; Midnight Oil; Mairi's Wedding. A quiet and unassuming gentleman and a fine exponent of the button box, especially playing for Scottish Country Dancing and Old Time Dancing. To buy Ian's CD "Lassie Come And Dance Wi Me" from the Old School Beauly click Ian Cruickshanks. A chance encounter with an accordion in his early teens gave lan Holmes his entry into the world of Scottish Country Dance Music; his interest and innate skills soon developed, and led him to the forefront of the dance music scene with his own band. Ricky Franci joined the band at its formation in 1962, and the two founder members are here joined by Jim dark, Willie Lowe and Drew Dalgleish. Guest musician on this C.D. is lan Powrie, who led his own band for many years, but since his return from Australia plays mainly as a soloist. The innovative techniques of these superb musicians have contributed much to the flourishing traditions of Scottish Country Dance music. lan Holmes and his band, with guest artiste lan Powrie, play a selection of favourite dances - perfect for dancing and a delight for listening. Reels, jigs, strathspeys and a medley are set to a wonderful combination of traditional and contemporary tunes, six of which are lan's own compositions. An essential addition to the C.D. collection of all those who love dance and dance music. An essential addition to the CD collection of all those who love dance and dance music. "I'd recommend to anyone who trips the light fantastic through this feast of jiggin' tunes" Scots Magazine. To buy CD of Ian Holmes Volume 4 from the Old School Beauly. This bouncy selection features nineteen full-length dances from the dynamic Ian Hutson Scottish Dance Band. Two accordions, fiddle, piano, bass and drums make a great sound for an enthusiastic evening's dancing. Petronella / Circassian Circle; Britannia Two-step / Gay Gordons Two-step; Palais Glide / White Heather Foxtrot; Rory O'More / Strip The Willow; Millenium March / Call Of The Pipes; Pride Of Erin Waltz / New Killarney Waltz; Mrs MacLeod / Dashing White Sergeant; Canadian Barn Dance / Dunnoon Barn Dance; Slow Air; Military Two-step / Boston Two-step; Mississippi Dip / Gypsy Tap; Iona Waltz / St Bernard's Waltz; Quickstep; Shetland Reels; Festival Glide / Polka; Captain White / Frog In The Middle; Barn Dance / Highland Barn Dance; Russian Ballet / Eva Three-step; Eightsome Reel. What a wonderful way to celebrate! Ballintuim Village Hall hosts a very enthusiastic group of dancers skipping and twirling the night away to the sound of Ian Hutson & His Scottish Dance Band in celebration of the hall's 75th birthday! Country, ceilidh, social steps and some fine jazz swing. Anniversary Two-Step; Caddam Woods; Harry Lime Foxtrot; Hooper?s Jig; Jessie?s Waltz; Distillery Reel; Edinburgh Mixture; Let?s Celebrate; Marine Four-Step; Fiddle Solo - Neil Dawson; Progressive Quadrilles; Jazz Twinkle; Black Mountain Reel; Barony Waltz; Postie?s Jig; Georgella Blues; Bobby Brown?s Canadian Breakdown; Kirrie March; Follow Me Home; Circassian Circle. A stellar cast of musicians join Ian Hutson and his band for this tribute to the great composer and musician Jim Johnstone. Tunes composed by Jim and sets as played by him are all here in this bumper collection of 23 tracks. The Dandy Dancer; Canadian Barn Dance; Gay Gordons; Jim Johnstone's Reel; St. Bernard's Waltz; Boston Two-step; Bradford Barn Dance; The Auld Meal Mill; Britannia Two-step; Petronella; Just The Girls; Highland Barn Dance; Pride Of Erin Waltz; Strip The Willow; Hornpipes; Hesitation Waltz; Eva Three-step; Saddle The Pony; Victory Waltz; Lauder Medley; Polka; Gay Gordons Two-step; Glenburnie Rant. 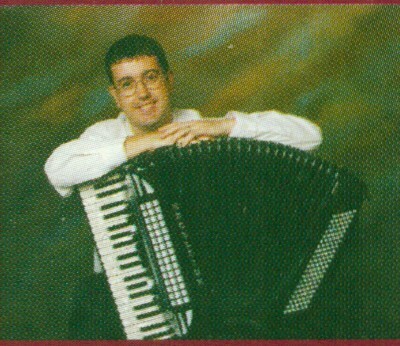 Born and bred in the Kingdom of Fife, Jim started to play the accordion at the age of 6. 40 years or so Jim has consistently been one of the most respected and ?in demand? inspired a generation of young Scottish musicians. several playing visits to Europe, North America and most recently New Zealand. A brilliant accordionist and band-leader from Culbokie on the Black Isle in the Highlands of Scotland. Click to view Lindsay's CD Step In Style from the Old School Beauly. Lindsay Weir and Her Scottish Dance Band. A powerhouse on the Scottish Dance scene in England for over 40 years. The legendary band was recorded in 1971 at the Basingstoke Ball playing many tunes that we just don't often hear in programmes these days. The historical element is enhanced by the audible crowd noise: To thousands of dancers McBain's was THE Scottish Dance Band. A night with McBain's Band will bring back many memories to many people, as they played at all the major functions in London and the south of England. From the band's inception in 1946 to its last dates in the late 1980s, the instrumental line-up remained firm, and brilliant; two fiddles, two accordions, one button box, piano, drums, and sometimes a guitar. 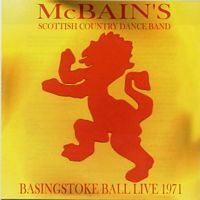 McBain's Band provided a strong tie with home for the many Scots "exiled" in England, and a touch of Northern exotisism for the folk of the south, who flocked to join the Scots in their dancing. This is a band renowned for style, flair, reliability, innovative expertise, charm, excitement and a certain frisson of flirtatiousness?so of course it is lead by a lady! Marian and her merry band are one of the busiest on the British circuit at the moment; the tune sets on these CDs demonstrate clearly how a woman?s touch can make even the best of dances just that little bit more special. There's a twinkle in the eye and a flash of brilliance on the keys as Marian Anderson and her band give a dazzling performance of much-requested Scottish Country dances. A scintillating addition to the CD collection of all those who love dance and dance music. Duke Of Atholl's Reel; Black Dance; The Dance Illustrator; Round Reel Of Eight; New Ashludie Rant; The Queen's Bridge; Baldovan Square; Rakish Highlandman; Sunlit Square; Pulling Bracken; Lady In Red; Longwise Eightsome Reel; Hogmanay Jig; Staffin Harvest; Father Connelly's Jig; The Mason's Apron. Click to buy Scottish Dances Volume 12 from the Old School Beauly. Re-released due to popular demand, with fifteen Scottish Country dances selected by dancers around the world. Bright and bouncy, Scottish country dance with lift! The Craven Jig; The Bonnie Beauly Blooms; Nethy Bridge; Jessie Wiseman's Reel; Bellstane; Mid Fodderletter; Woodland Assembly; Corrievreckan; Haddington Assembly; Neko's Reel; Maggie's Lauder; Good Friends; Kirkmaiden Strathspey; The Falls Of Rogie; The Wedding Link. Click to buy Dancers Choice 1 from the Old School Beauly. Marian Anderson Scottish Dance Band have done it again! This is an exquisitely crafted album which showcases the very best of Robert Burns' songs. Marian will take you on a delightful journey through some of the bard's most well-known melodies. The Star O Rabbie Burns; Ye Banks And Braes; Ha Ha The Wooin' O It; My Love Is Like A Red Red Rose; Kenmure's On And Awa; Cairney Mount; Green Grow The Rashes; My Wife's A Wanton Wee Thing; My Love She's But A Lassie Yet; The Lea Rig; Dusty Miller; Corn Rigs; Ae Fond Kiss; Burns' Hornpipe. Click to buy Robert Burns Dances from the Old School Beauly. Scottish Country dance, Ceilidh Dance, Old Time and Social, Marian Anderson and her Scottish dance band showcase their style with great aplomb. Contemporary tune sets along with old favourites, fast-paced dances and slow ones too. Brilliant, bouncy and bewitching. "ST BERNARD'S WALTZ features the Borders-based Marian Anderson's Scottish Dance Band, offering contemporary tunes and old favourites, for what they themselves call social dancing. I must confess I know no other kind, though perhaps the current vogue for solo leaping about, often under the influence of exotic refreshment, may count. Joe Macdiarmid's Jig; Kirrie March; St. Bernard's Waltz; Canadian Barn Dance; Flirtation Two-Step; Sandy's New Chanter; Eva Three-Step; New Killarney Waltz; Medley; Edinburgh Mixture; Jazz Twinkle; Gypsy Tap; Flowers Of Edinburgh; Festival Glide; Southern Rose Waltz; Hooper's Jig. Click to buy St Bernards Waltz from the Old School Beauly. Another superb recording from Marian and the band. Lively sets for a variety of dance styles make this album great for listening as well as for dancing. Pinewood Two Step; Shiftin' Bobbins; Kirrie March; Florentine Waltz; The Bees O' Maggie Knockater; Canadian Barn Dance; Slow Air - Summer Sunset; Elephant Stampede; Scottish Waltz; Jacqueline Cha Cha; Gay Gordon's Two Step; Snake Pass; New Killarney Waltz; White Heather Fox Trot; The Fisherman's Reel. 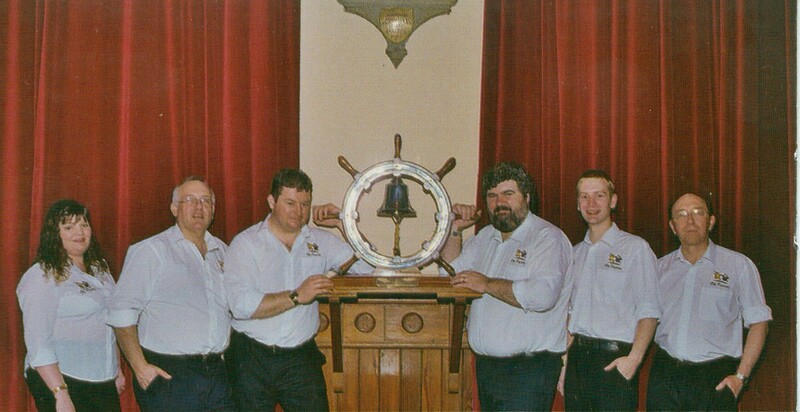 Click to buy The Fisherman's Reel from the Old School Beauly. A simply fabulous recording of Scottish Dance music for the Western Australian RSCDS. The dances may be unknown elsewhere, but the music will ensure they become standards. Marian's band gives a full-bodied,lively sound at moderate tempos. The Kangaroo Paw (R 8x32); The Open Road (J 4x32); Christine's Fancy (S 3x32); Reeling Roy (R 4x48); Torridon Lassies (J 8x40); The Glengarry Homestead (S 4x32); The Buckinghamshire Lass (R 4x40); Anne And Five Partners (J 5x48); 3 Couple Encore (3x48); The Avon Valley Strathspey (S 1x80); Lauraine's Delight (R 3x48); One Of A Kind (M 40R,40S,40R); Flowers Of The West (S 4x40); Dancing Girls (J 8x32). Click to buy The Kangaroo Paw CD from the Old School Beauly. A book of dance instructions for these dances devised by John Brenchley is also available - click to buy the Kangaroo Paw Book from the Old School Beauly. Tradition and quality have always been synonymous with the products of Scotland, and these attributes distinguish one of our most popular 'exports', the music of Neil Barren and his band. Since its formation in 1983, as well as playing throughout the U.K, the band has been the regular guest of the St. Andrew's Societies of Singapore, Hong Kong, Jakarta and Kuala Lumpur! The tradition of the music is upheld by Neil's arrangements and compositions, and its quality is accented by the superb musicianship of the band, whose skills are gratefully acknowledged by Neil. 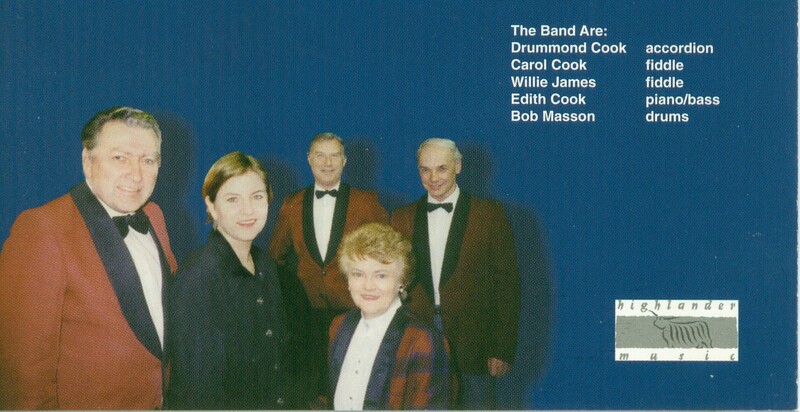 The musicians have played with many of the top Scottish Dance bands, including that of the legendary lan Powrie, for whom Pam Wilkie played piano. This is truely an album of excellence in the Scottish style. A full 6-piece band with Alastair Wood on second accordion, Marie Fielding on fiddle, Gordon Smith on drums, Pam Wilkie on piano, and Doug Cargill on double bass. An addition of tradition to the C.D. collection of all those who love dance and dance music. Neil Barron and his Scottish Dance Band play a selection of favourite dances, reels, jigs, strathspeys and a medley. The arrangements of traditional & contemporary tunes, including four of Neil's own, demonstrate the band's dedication to our dances. The Black Mountain Reel; Postie's Jig; Alltshellach; The Buchan Eightsome Reel; Miss Allie Anderson; The Duchess Tree; Bonnie Anne; J. B. Milne; Schiehallion; None So Pretty; The Moray House Of Edinburgh; Dalkeith's Strathspey; West's Hornpipe; Nottingham Lace. One of the top Scottish Dance Band leaders in England for many years, for Country dance, Ceilidh dance and Old Time and Sequence. Rob was a self-taught musician whose dedication and natural flair enabled him to shine brightly right across the firmament of social dance music. Rob and his band played all styles of Scottish music and Irish too, and all to a very high standard. Rob's meticulous preparations always ensured correct tempi and appropriate tunes, some from his researches, some from his own pen. capture the charisma of the man and his music with this Rob Gordon CD, a re-release of all the tracks on the Fourth Caledonian Ball, and Dance With Rob Gordon Volume 1. Click the link to buy the Rob Gordon CD from the Old School Beauly. 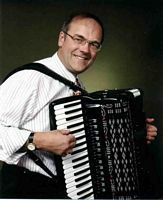 Young Robert Whitehead and his father used to have fun tootling out tunes on an old melodeon they had, but when Robert saw Jimmy Shand playing live, he knew that the accordion was the instrument for him. After a couple of years of lessons, and a lot of hard work by himself, Robert hit the local dance music scene at the age of thirteen, dreaming of forming his own band. Experience came through his native Northumbrian groups, and the local Irish music scene, but his real inspiration came from north of the border ? Shand, Rankine, and Johnstone. Family dedication to ? and in ? the band, and the talents and support of fellow musicians have enabled Robert to produce a band so well loved it is booked to work every single weekend of the year, delighting dancers the length and breadth of Britain, and all over the Continent too. Red House; The Linton Ploughman; The Sleeping Warrior; Dundee Reel; La Russe; Margaret Parker?s Strathspey; Lord MacLay?s Reel; Holyrood House; The Byron Strathspey; The Haunt Of The Gnomes; John Of Bon Accord; The Earl Of Errol?s Reel; Craigellachie Bridge; Maureen?s Jig; A Toast To St Andrews. Click to buy Scottish Dances Volume 13 from the Old School Beauly. Worthy successor to the sell-out Dancers' Choice 1, this CD features the bright sound of Robert Whitehead Scottish Country Dance Band playing for fifteen Scottish Country Dances chosen by dancers around the globe. New dances, new tunes. Dancing In 2000; Julian's Jig; Ghillie Laces; Bon Accord; Widdershins; One For The Millennium; Morpeth Rant; King O' The Rookery; Monadh Liath; Folksy Fivesome; Muckle Burn; The Viking Ship; Bean Shea Fancy; Two Furlongs; The Clan Reel. Click to buy Robert Whitehead's Dancers Choice 2 from the Old School Beauly. Champion accordion player Roy & his band are becoming firm favourites with their great playing. Bobby Stewart on second box, Colin Garvin (piano), John Delaney (bass) and George Gray (drums). "Meticulous in every respect." "So there we were, me and my pal and his mum and dad, all squashed into their wee Fiat 127 and trundling along the road to a competition with our two accorions strapped on top, when we heard the bungee clips pinging undone from the roof rack?" A musician's nightmare maybe, but definitely more exciting for the young Roy Hendrie than his usual journeys, .. by bus, with his own loyal Dad as Box-bearer! Family support and Roy's natural talent carried him to the top, for he went on to become British Accordion Champion. Not bad for someone whose accordion playing only began at the age of ten when family friends over from Ireland wrote out a tune for him to try; they simply wrote the name letters to match the ones Dad had furtively stock on the keys of his own accordion previously! Roy writes the tunes now, some of which are featured in the set for the Trinity Tensome Reel, including Jim Hendrie's Reel, written for his father. Rather more recently, Roy has gathered together his choice blend of musicians to form a dance band with a full-bodied sound. Although they have not been together long they are hot favourites for ceilidhs, weddings, and Scottish Country Dances, travelling all over the south of Scotland, and even as far abroad as Blackpool! Fresh from their acclaimed broadcast on Take The Floor, Roy and the boys have put together a melange of rich reels, steaming jigs and strong smooth strathspeys with a medley stirred in for good measure. A stimulating brew for an invigorating evening's dancing. "The band's exciting sound.. a very enjoyable album and well worth a listen." Box & Fiddle Magazine. Be it ceilidh, Scottish Country or Old Time dance, Sandy and his energetic band are ready to go! They've played for weddings and socials, clubs and live broadcasts, they've recorded a hugely popular ceilidh dance album, they've been to Bulgaria for a St. Andrew's Night, to Spain for a ceilidh... and they've even played in England! And here is their latest adventure - a trip through technology to record their first Scottish Country Dance CD. Sandy has fronted his own band for six years now, with a stable core of musical friends. The band also benefits from the talents of other musicians, whom Sandy calls upon to emphasise particular musical slants for specific occasions. The band give special thanks to Neil MacMillan who joined them for this recording. Sandy and the band bring their own ebullient style to the traditions of Scottish Country Dance, with music for an effervescent evening's dancing. Vintage tunes in sparkling style with music for an effervescent evening's dancing. Sandy on box with Peter Wood (accordion), Shauna Flockhart (piano), Andrew Knight (fiddle), Neil MacMillan (bass), Steven MacInnes (drums). Soldier's Joy; Blue Bonnets; Gypsy Glen; The Deveron Reel; Rory O' More; A Man's A Man For A' That; Dance Of Diamonds; Bonnie Dundee; Frae A' The Airts; Rothesay Country Dance; The Meeting Of The Waters; Stirling Castle; Farewell To Crumlin; Swiss Lassie. Click to buy Sandy Legget Volume 9 from the Old School Beauly. Sandy & the boys bounce in at full fling for 15 full-length dances including an 8 1/2 minute Orcadian Strip The Willow! Catch your breath with the rest which are a mixture of ceilidh and country dances, all played at perfect tempo & with plenty of swing. Gay Gordons; Call Of The Pipes; Foula Reel; Strip The Willow; Victory Waltz; Kelvingrove Two-step; Canadian Barn Dance; Comin' Through The Rye; Calliope House; Mrs MacPherson Of Inveran; Eva Three Step; Viennese Swing; The Silver Spire; Boston Two Step; Orcadian Strip The Willow. Click to buy Sandy Legget Gay Gordons from the Old School Beauly. When seven-year-old Sandy Nixon received an accordion for Christmas he started playing ... and hasn't stopped since! His enthusiasm for playing, and for Scottish Country dance music in particular, lead to the formation of his own band in the late 1970's. The stable nucleus of the band guarantees the unmistakable Sandy Nixon Sound, with Bill Hendry, Mike Hardie, Stan Saunders and Hamish Smith. The band's hallmark breadth of sound augments their superbly arranged tunes, giving life to the contributions of each band member and great pleasure to dancers, listeners and band alike! Reels, jigs, strathspeys, a hornpipe and a medley, favourite Scottish Country dances to first-rate tunes. Sandy's interest in new and less frequently played tunes fires the band's enthusiasm for arrangement and interpretations; the tunes, rhythms and syncopations fire the dancers; the dancers inspire the band.. ..and an evening's dancing with Sandy brings musicians and dancers to a state of mutually inflammatory exuberance! An incandescent addition to the CD collection of all those who love dance and dance music! A second dose of a repeat prescription is usually a cause for concern, but as the dispensing doctor here is Sandy Nixon, and the mixture is a real tonic, the prognosis is definitely excellent! Now revitalised in CD format, this stimulating collection of dance music contains many brilliant contemporary tunes in invigorating style, played for full length dances. Sandy's jaunty genre and stylish syncopations make this album a real pick-me-up to be enjoyed on the dance floor or in the armchair at home. A real tonic.. .this stimulating collection of dance music contains many brilliant contemporary tunes in invigorating style. Sandy plays some particularly tricky tunes with his usual jaunty confidence. Miss C. M. Barbour; The Castle Park Jig; Sandy Nixon's Reel; For All The Ladies; Jiggery Pokery; Lesley Nixon's Reel; Iain Nixon's Reel; Mo's Jig; Miss Suzanne Barbour; By Dundonald; The Cuckoo Clock; The Whitby Wedding; C.J. 's Reel. A CD of Scottish Country dances devised by the late John Bowie Dickson. The sparkle and sweeping flow of John's dances and the scintillating brilliance of Sandy Nixon's playing combine in a dynamic album of Scottish Country dance at its best. The Luckenbooth Brooch; Tak Tent; The Wind On Loch Fyne; The Chairman; Cornet's Chase; The Pigeon On The Gate; The Quern; Pinewoods Reel; Marie's Farewell; The Marchmont Eightsome; Dalry Strathspey; Christina McLellan; The Cuddy; Bauldy Bain's Fiddle; Gypsy Glen; Bannockburn Reel; Reel Of The Puffins. For Ceilidh Dance, Country Dance or just listening pleasure it is hard to beat the enthusiastic playing of the Sandy Nixon Scottish Dance Band. Here the 5-piece band gives amazing value with 23 great tracks including 8 Country dances. Silver Spire; Boston Two-step; Gay Gordons Two-step; Pride Of Erin Waltz; Last Of The Lairds; Canadian Barn Dance; Tribute To Ron Gonnella; Newcastle Reel; Eva Three-step; Shetland Waltz; Strip The Willow; Gay Gordons; Polkas; Black Mountain Reel; March Strathspey & Reel; Britannia Two-step; Scandinavian Waltz; Auchtermuchty Gala March; Farewell To The Tay; Pipe Reels; Waltz For Kirsty; Tribute To Angus Fitchet; Clancy's Salsa. We have a CD with 8 tracks by The Tain Band and 8 by Alex MacArthur & his Scottish Dance Band. For details and to buy click Tain Band Old Masters Volume 2 at the Old School Beauly.